A perfect day at Watson Farm in Jamestown, Rhode Island. Instagram photo courtesy of @cierrahoward. A Historic New England membership is the perfect gift for all the history lovers on your shopping list. Avoid the stress of trying to find parking at the mall, waiting in long lines, or having to create another username and password. A year’s worth of access to New England heritage is just a phone call away. 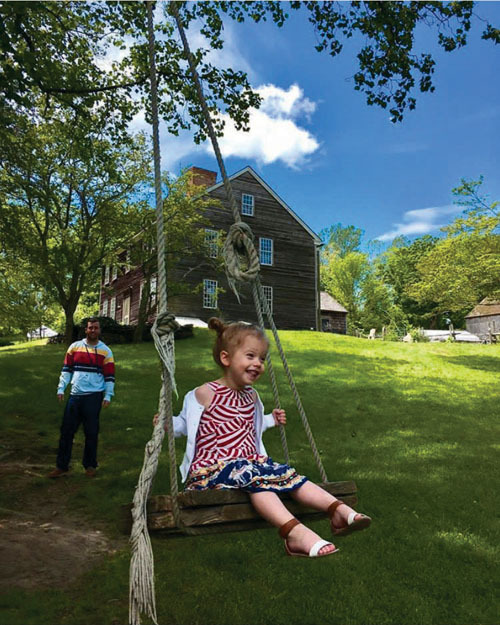 Members enjoy free admission to Historic New England homes, farms, and landscapes; three issues per year of Historic New England magazine; discounted or free tickets to hundreds of events each year; and more. Call Monday through Friday, 9:00 a.m. to 5:00 p.m. at 617-994-5910 and speak with a representative from our membership services team. When you place your gift membership order between now and January 1, 2018, we’ll provide you with a $10 savings on each gift membership you order. That means an Individual gift membership is just $40, and Household is only $50. To ensure delivery by Christmas, please contact us no later than December 19.